Dundalk Young Irelands go into the club’s first ever Leinster final this weekend boasting the unique history of having already played in an All-Ireland final, try making sense of that one. You see, the club – founded in 1884, making it one of the oldest clubs in Ireland – represented Louth in the first official All-Ireland final back in 1887. Club chairman Barry McDermott gave Pundit Arena a rundown of the club’s unique backstory. “We played in the first All-Ireland final.” He said. “It was played in Dublin against Limerick Commercials, who are no longer in existence. There’s actually a plaque up in Clonskeagh where the game was played, and there’s one in Limerick too but none in Louth, we are actually working on that at the minute. The club was officially founded in 1884, the year the GAA came into existence, however, history suggests that Young Irelands had been in existence long before then. “The club would have been going long before that, but we don’t have any definite history of how long exactly with all the records having been long gone.” McDermott said. “We actually have no proof of when the club started but the Young Ireland group started in the 1820’s so it could be traced back to then. The club didn’t just form in 1884, it was long before that. 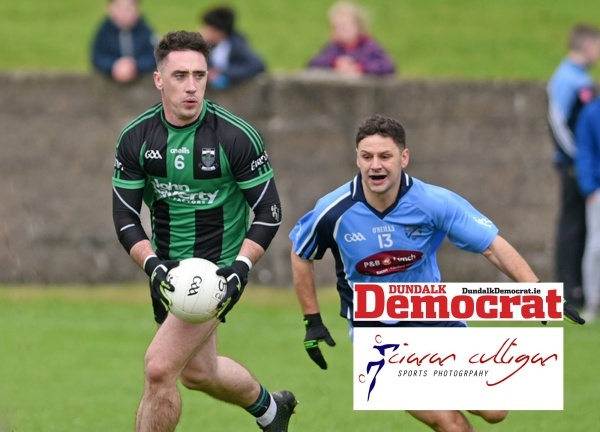 Derek Maguire will be steering the Young Ireland’s ship from centre back this Saturday when they go to battle with St. Brigid’s in the Leinster club junior final. 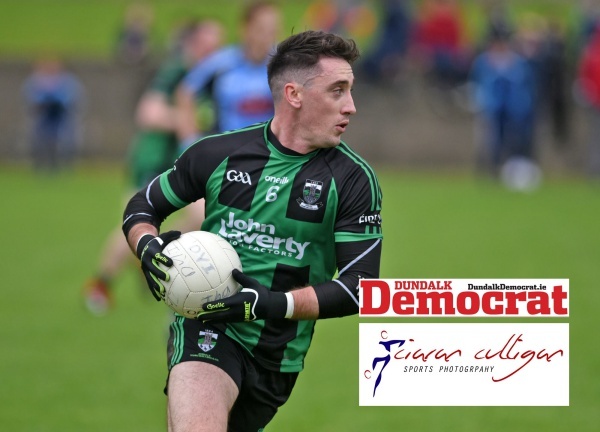 The Louth star admits that whilst they have the utmost respect for their Offaly opponents, the Dundalk outfit are solely focused on what they will do come final day. “Something we have been doing all year is, we don’t take a great deal of look at the opposition, we just focus on ourselves.” Maguire told Pundit Arena. “Obviously, if there are one or two dangerous players we would take a look and be conscious of it, but we focus on our game plan because we know how good we are and we are playing at a level where we know we are good enough to beat any team on our day. 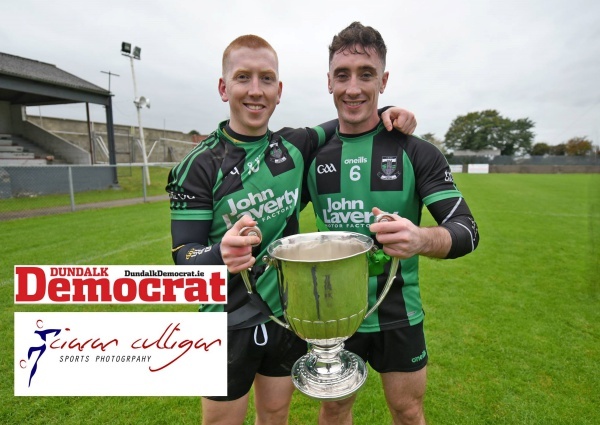 The club are no strangers to success having won senior and intermediate championships in past, their last win coming in 2010, but since then they’ve struggled. The passing of the old guard, however, opened the door for a new crop of young talent to come through, and coupled with the promotion of Adrian O’Donoghue from team selector to team manager brought a change in fortunes, as he had coached many of this new crop from grassroots level right up. Maguire believes this is what has kept the club going, and what has ultimately led them to this Saturday’s final. “The last two or three years we struggled to get lads to commit, we were kind of at that stage where we were in between teams.” He said. 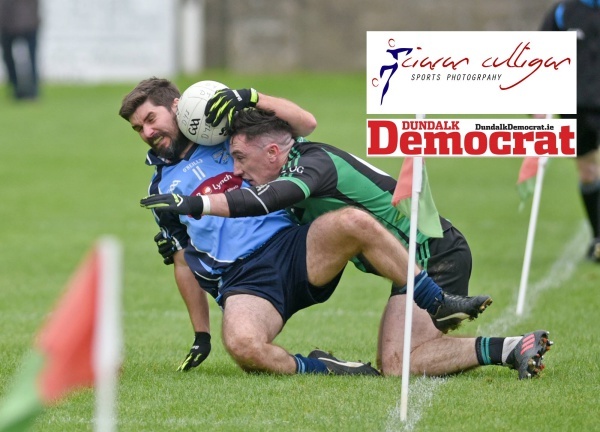 “We won an intermediate championship in 2010 and that crop was on the way out, so we needed a new group to come through from underage to give us a bit of a boost, and that was one of the key things this year. A lot of young lads came in and we needed to set a good example. “Adrian (O’Donoghue) came in, and implemented his game plan which the young lads knew because he coached them at underage. Young Irelands have only lost one game all year, and Maguire feels that defeat set the wheels in motion for what has become a memorable year in the club’s history. “We only lost one game all year which was a wake-up call.” Maguire says. “We knew we were at a better standard than junior, and once we won a few games the boys got a bit of confidence and it all steamrolled from then. “We won every game since and it became a habit. We dug out a few games we looked like losing which shows we have a real winning mentality, and that’s great for these young lads to have so young. It could have been all so different for Maguire though, the 2016 Louth Footballer of the Year took a break from club and county duty in 2017 to play football in the United States. However, the thought of returning across the pond never entered his thoughts this season. “Whatever happened (this year) I was staying” He said. “I went away in 2012 and when I came home I knew I wasn’t really ready to come home and I always knew I would go back, but each year kept coming and going, and I just knew last year I had to get it out of my system. “It was always in the back of my mind (playing for the club) and it was especially hard considering my dad was the manager at the time, but it was something I needed to do, but I had no intentions of missing out this year. 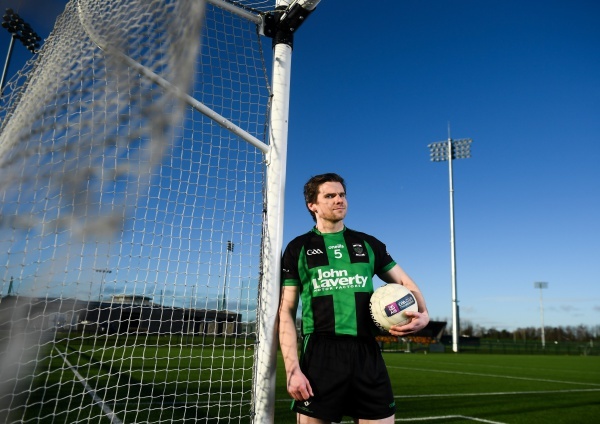 Maguire is happy out in Dundalk, and he will be even happier if Young Ireland’s can add a Leinster junior championship to their already storied history this weekend. 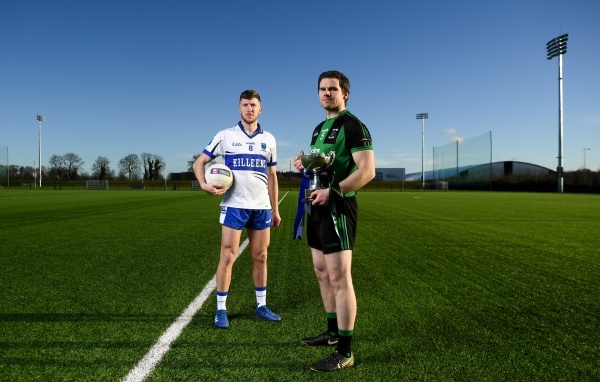 “We have a lot of history, and the lads are really proud to represent the club going into our first ever Leinster final. “But we’ve got a job to do, we have our heads scewed on, and know that we haven’t won it yet.